Syrian terrorists are preparing provocations involving chemical warfare agents in Eastern Ghouta, which will be used by western states as a pretext for accusing Damascus of the use of chemical weapons against Syrian civilian population, spokesman for the Russian center for Syrian reconciliation Maj. Gen. Yury Yevtushenko said Friday. HMEIMIM (Sputnik) — Syrian militants carried out 11 bombardments of residential areas in Damascus in past 24 hours, firing a total of 28 mortar rounds, the head of the Russian Center for Syrian reconciliation said. 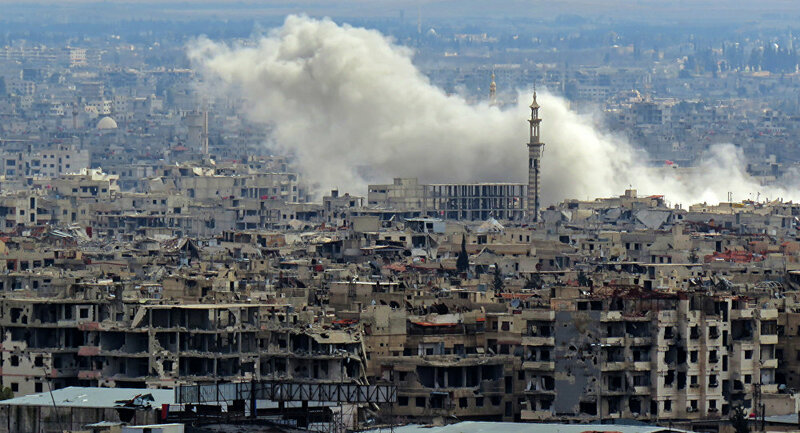 "Illegal armed groups continue firing at residential areas of Damascus and its suburbs. They carried out 11 bombardments throughout the day, firing a total of 28 mortar rounds. The Russian center for Syrian reconciliation also came under fire," Maj. Gen. Yuri Yevtushenko said at a daily briefing. Yevtushenko also noted that illegal armed groups continue to violate the current ceasefire regime not only in Eastern Ghouta but in Aleppo and Latakia provinces as well. "We have received from the Syrian party the information about provocations involving chemical warfare agents that are being prepared by the Faylaq al-Rahman, Ahrar al-Sham, and Jabhat al-Nusra (terrorist organization banned in Russia). The provocations aim to put the blame for the use of chemical weapons in Eastern Ghouta on the government forces, that is why the action is being prepared close to the contact line with the Syrian army. The civilian victims will be used by the West as a pretext for accusing the Syrian leadership of the use of chemical weapons against its people," Yevtushenko said. 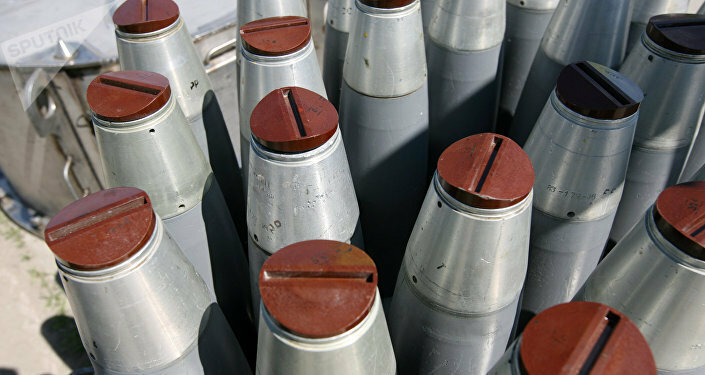 Yevtushenko stated that the Syrian command reiterated once again that it did not possess the chemical weapons. Commenting on the situation around the humanitarian corridor in Syria's Eastern Ghouta he said, that the situation in the checkpoint area remains tense. "Since yesterday, snipers have regularly been firing at access routes to the corridor," Yevtushenko continued. On Wednesday, Russian President Vladimir Putin said during talks with Austrian Chancellor Sebastian Kurz that terrorists in Eastern Ghouta shelled Damascus around 50-80 times a day, including the region of Russia's embassy and pointed out that Russia would not tolerate this forever.